Writing a microeconomics paper can be challenging, but having a good thesis will help. Microeconomics is a popular subfield of economics. It focuses on the economic behavior of individuals as well as businesses. Because microeconomics is so popular, it is part of the inevitable list of topics on which students are expected to write papers. Writing a paper on microeconomics may be difficult for those who have no idea what the field is about, but once a person has got the basics down, as well as basic essay composition skills, he is good to go. Define the question. Normally, teachers ask a question that you need to answer in detail in your microeconomics paper. Make sure you comprehend the question fully. If the teacher does not give questions, come up with your own. Research the answer to your question thoroughly before you start writing. Your answer should be backed up with important facts and related economic hypotheses and should contain real-life examples to illustrate how things function in reality. A summation of your answer will become your paper's thesis statement. Use all the resources available to you to help expand your topic and make it more believable. 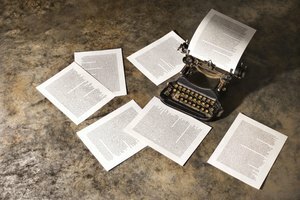 If you rely solely on your textbooks, you are unlikely to produce an exceptional essay on microeconomics.Though many microeconomics books deal with theory, your paper should be strongly relevant to the real world, hence the significance of journals and newspapers such as the Wall Street Journal as sources. Include all the parts of an essay. The introduction is one of the shortest parts of an essay and contains a minimum of three or four sentences. The body is the second part and is the main part of the essay, where you systematically back up the thesis statement you presented in your introduction. The conclusion is the end of the essay. It normally has the same idea as the introduction, except it is written in different words and phrases and sums up what you learned about your topic. Writing a microeconomics paper might be tough if you do not have a broad comprehension of some of the basic concepts and terms. According to Custom Essay, some common microeconomics topics include: the dissimilarity between macro and microeconomics; supply, demand and flexibility; unemployment; price increases; the main roles of money; and banking. Jones, Mike. "How to Write a Microeconomics Paper." Synonym, https://classroom.synonym.com/write-microeconomics-paper-8222658.html. Accessed 25 April 2019.